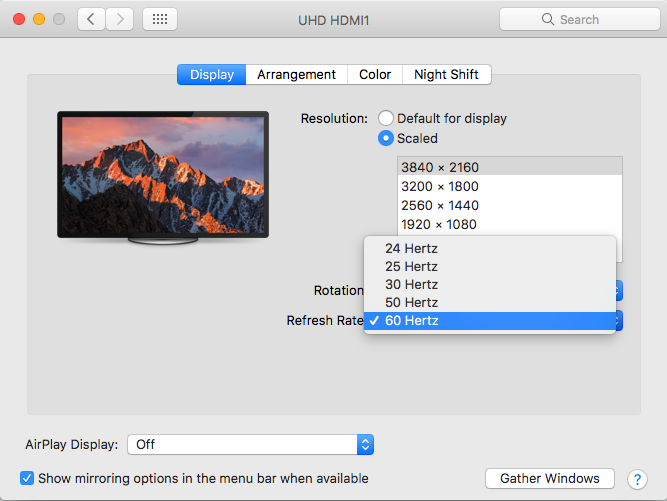 I had a MacBook Pro 2017, using a USB-C to HDMI which can support 4K@60Hz. But Refresh Rate is still locked at 30Hz for other resolutions. Is there a way to unlock 60Hz for 2560x1440? 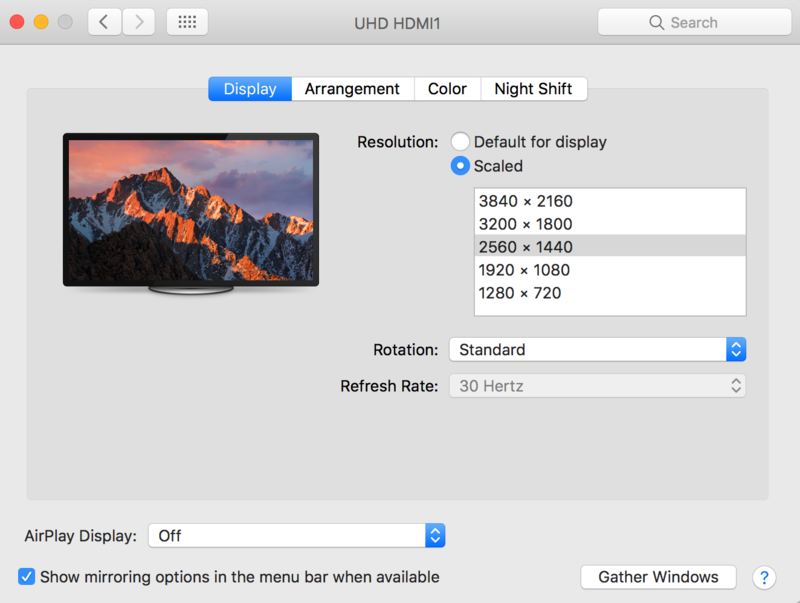 Browse other questions tagged sierra screen resolution 4k .